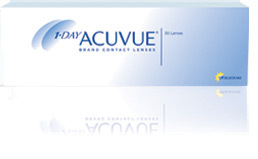 1-DAY ACUVUE® TruEye® Brand is an innovative contact lens designed to help maintain the natural state of the eye. It's the first and only daily disposable contact lens made with a super-breathable silicone hydrogel material. And it includes HYDRACLEAR®1 Technology** for all-day comfort. 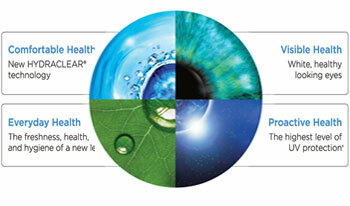 The third generation of our HYDRACLEAR® Technologies combines the highest volume of moisture-rich wetting agent in the HYDRACLEAR® family with the oxygen transmissibility of a silicone hydrogel material (96% of available oxygen to the open eye) for a highly wettable lens that feels almost like the natural eye. Only 1-DAY ACUVUE® TruEye® Brand offers a combination of eye health benefits ranging from comfort to UV protection to help maintain the natural state of your patientâ€™s eyes. 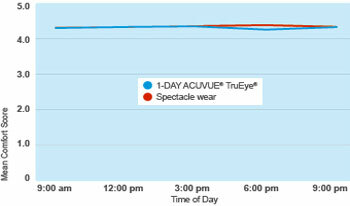 Third-generation HYDRACLEAR® 1 technology provides the highest volume of wetting agent in the HYDRACLEARÂ® family, giving 1-DAY ACUVUE® TruEye® Brand Contact Lenses comfort comparable to wearing no lens at all.